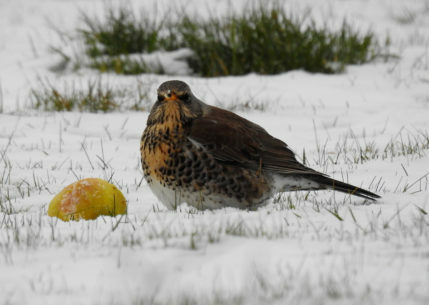 It had been snowing so I put some apples out for the birds. I suddenly saw this beautiful fieldfare arrive so grabbed my camera. I opened my front door to the "beast from the east" so quickly took a few pictures. I think this one was the best.